I'm thinking my go to fall outfit is going to look something like this: simple sweater, dark wash skinny jeans, leather booties and sunnies. 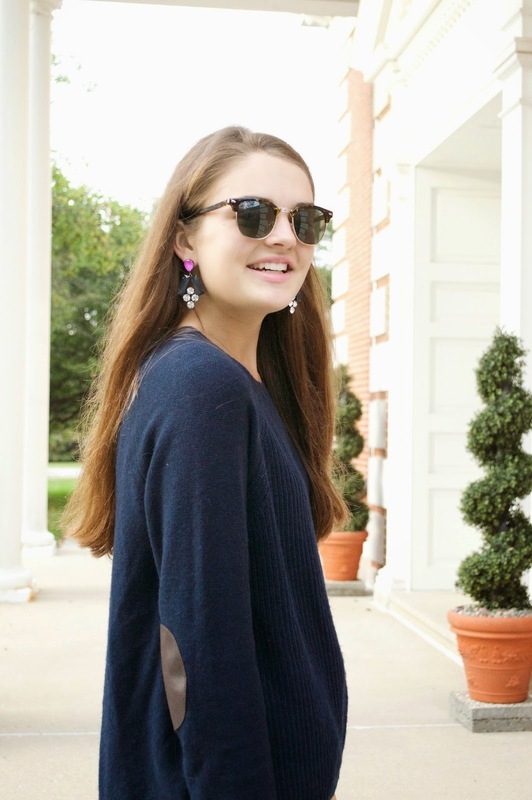 Super classic basics that can be dressed up (cue the statement earrings!) or down. 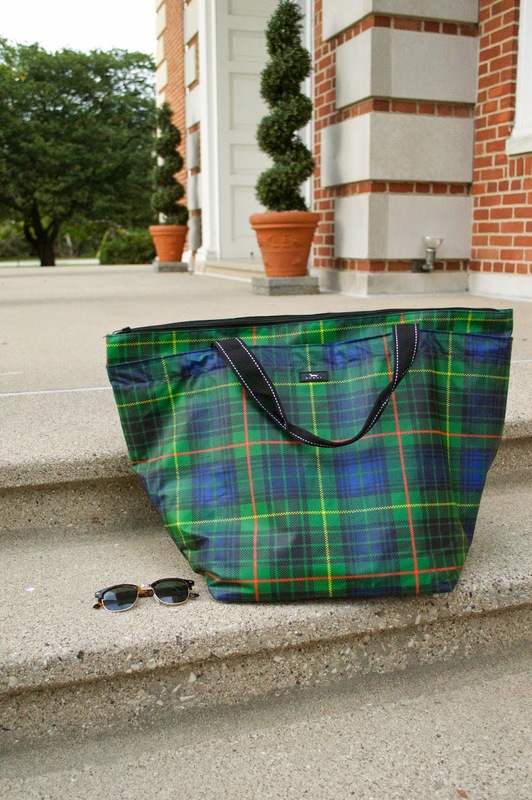 Now, can we please talk about this weekender bag for a minute? When SCOUT sent it to me, I knew it would be so useful, especially for the college road trips I'm taking this year! It's a lot bigger than it looks and has a fun yellow inside with a small pouch to stow away ear buds or your wallet. I'm currently en route to a few schools in the Midwest, so you can guess it's right by my side in the car, holding all my travel essentials. 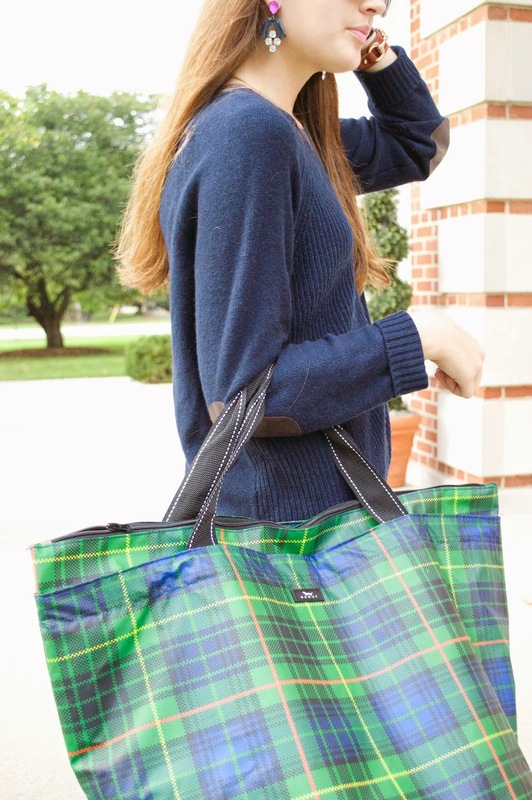 Not to mention, that plaid is too darn cute for cooler months. What do you predict your go to fall outfit to be? THAT BAG! 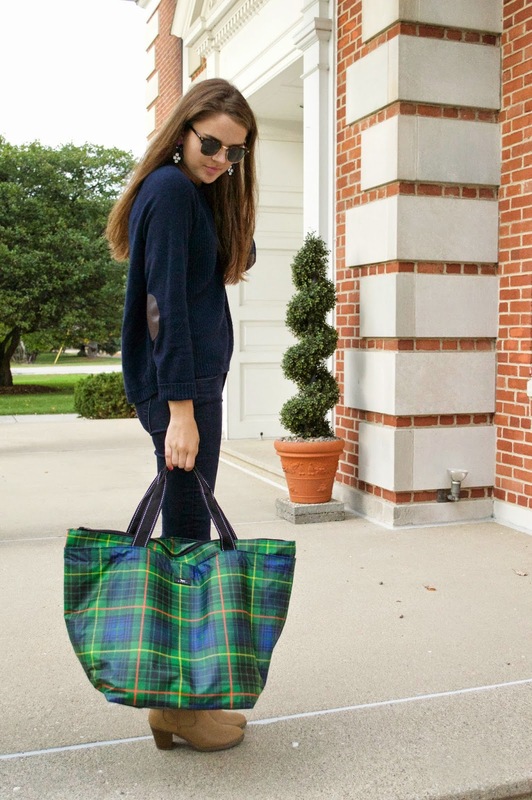 I love plaid so much, but that bag is just calling my name. I love the colors and the over-sized-ness (is that a word?) of it. It would be so perfect for me to toss my bags & whatnot in for school. Obsessed! 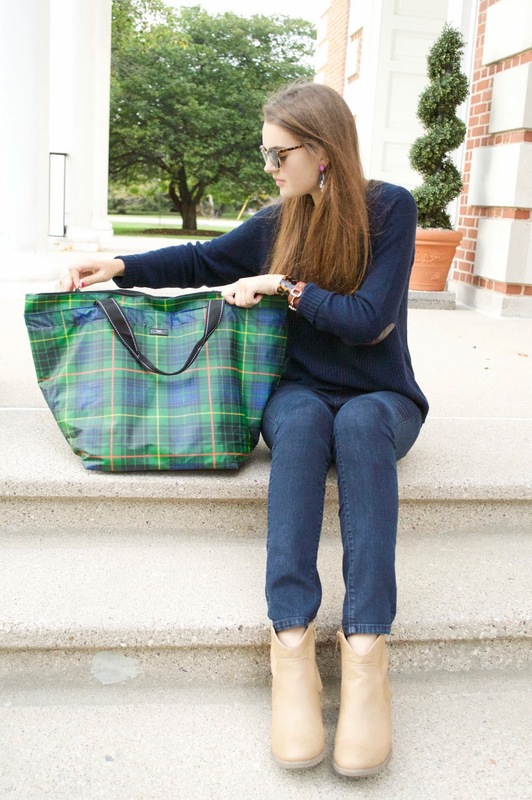 I love a good navy look with black watch plaid. That bag looks perfect for travel and it's definitely a nice change from the classic Longchamp bags. Love this classic look, especially the booties and the pop of pink from the earrings. We are twins! I have that sweater in the cream color and it is to die for! It's so soft and versatile! That bag is so adorable too Caroline! I'm loving it! Such a cute bag! 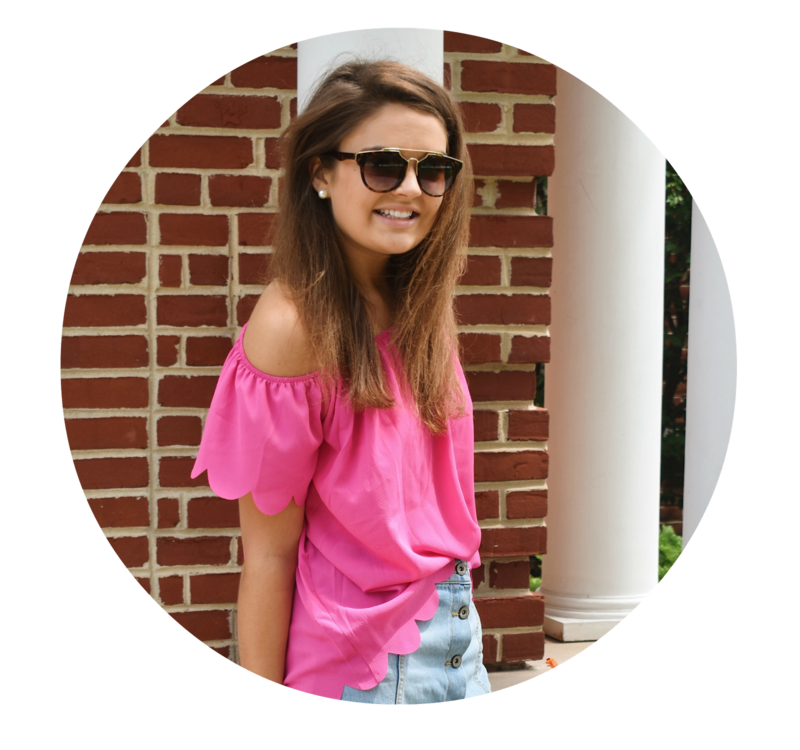 Enjoy the college visiting experience! Good luck! Super chic. I love it!